Above: On one of her visits to Filia. 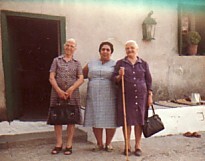 L-R: myself, my sister-in-law, Melpomeni, and my sister, Meropi. 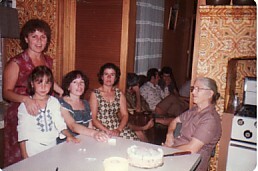 Above Right: With horiani and family in Filia. L-R: Kyriaki; my brother, Ioannis; my niece, Androniki; myself; Kleoniki; my brother, Vasilis. 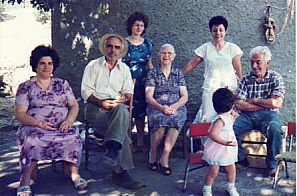 The little girl is Vasilis' grand-daughter, Melpomeni. 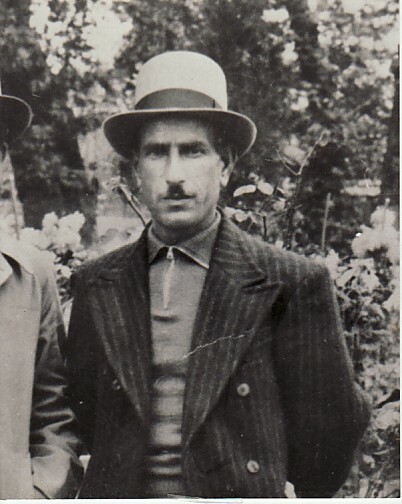 Above: My husband, Pandelis Krideras. 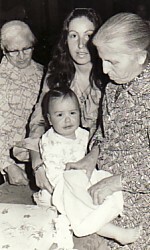 Above Right: At my grand-daughter, Lambrini's baptism. L-R: my sister, Meropi; my daughter, Stavroula; and I am dressing Lambrini. Above: At a family gathering. 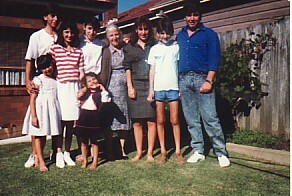 L-R: My daughter-in-law, Lemonia; my grand-daughter, Lambrini; my daughter, Stavroula; Stella; and myself. 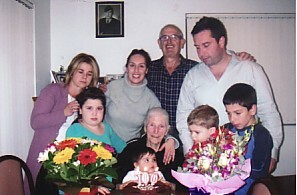 Above Right: With all my grandchildren. 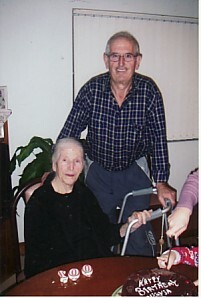 Above: Celebrating my 100th Birthday. Above Right: With my son, Dimitris.